On Sep. 28, Kundyz became the winner of the 10th Sheber-2018 competition in Kazakhstan, which is translated as professional craftsman. She developed her own authoring technology through tapestry. A jug with a Kazakh ornament was weaving. 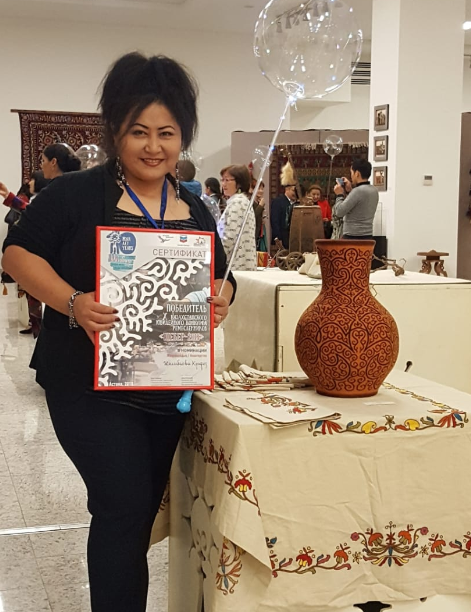 The “Sheber” contest was established in 2009 as a component of the program “Development of crafts and the revival of folk art crafts in Kazakhstan” and announced for the tenth time. 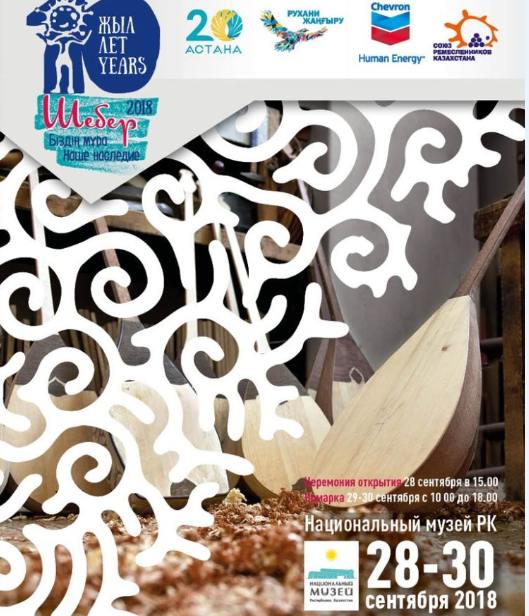 The Sheber 2018 competition is held by the Union of Craftsmen of Kazakhstan and the public foundation with the support of the Ministry of Culture and Sports of the Republic of Kazakhstan, the Eurasia Foundation of Central Asia (EFCA) within the framework of the Sheber Festival. The competition is open to all craftsmen of Kazakhstan – citizens of the Republic from the age of 18 regardless of religion, nationality and place of residence.